Once again my calendar is broken so please pretend today is March 4th. 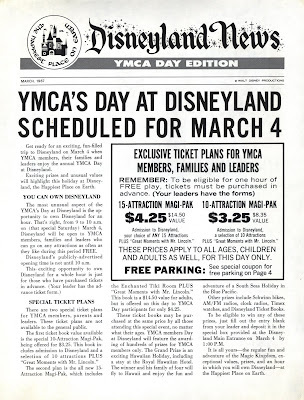 It’s YMCA’s Day at Disneyland! 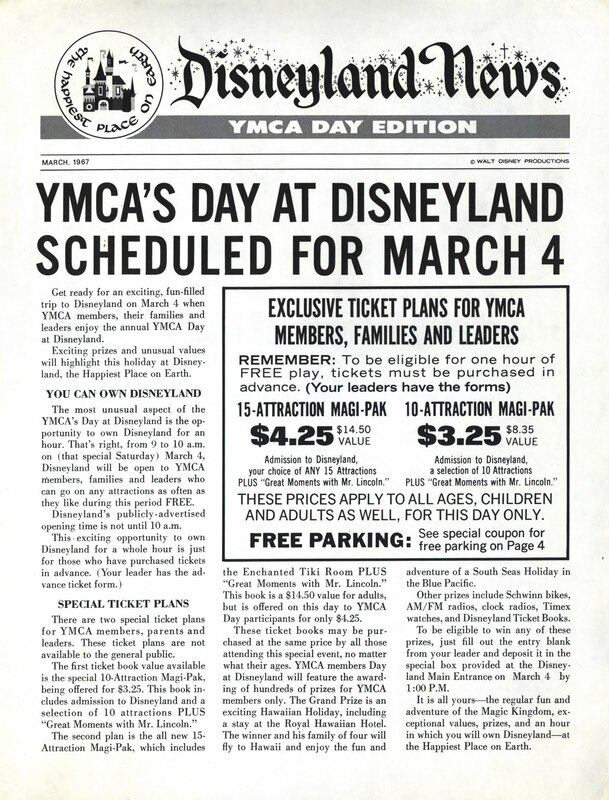 This Disneyland News from March 1967 is the special YMCA Day Edition. 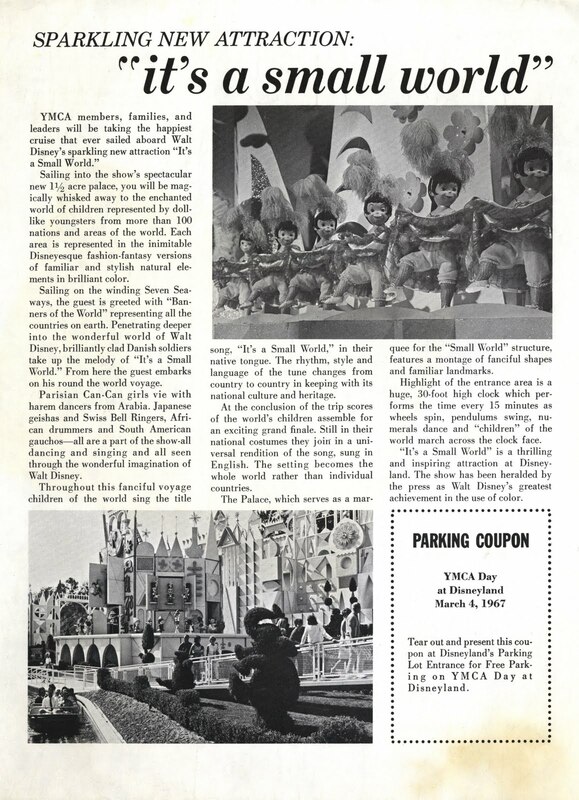 You can OWN Disneyland for an hour before the park officially open to the public and the attractions are FREE during that hour – I bet that was a mad house! 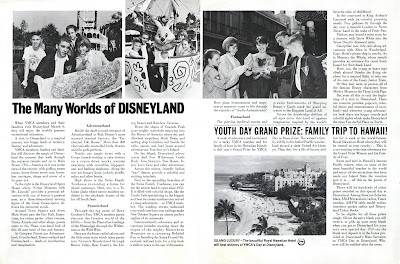 Grand Prize is a family trip to Hawaii with hotel accommodations at the Royal Hawaiian Hotel. I stayed there once as a kid in the 70’s, it was old then but super elegant and right on the beach! Go ahead, start singing it.. 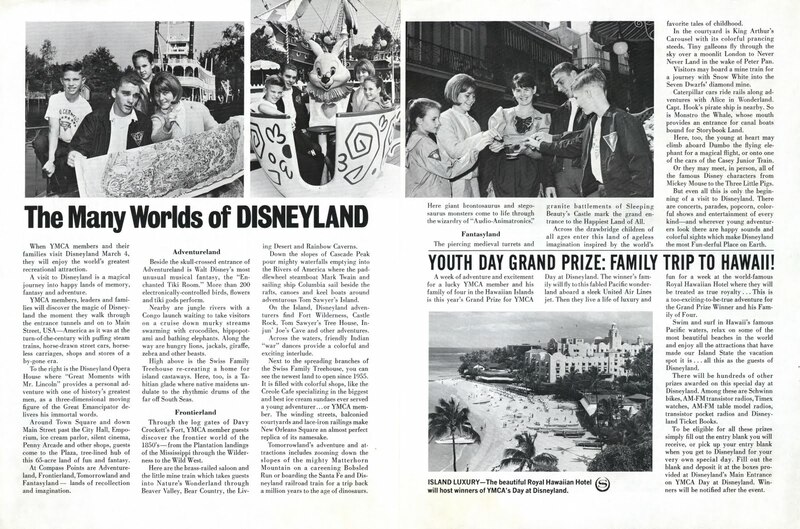 Depending on the size of your group or company, I'll bet that the hour of "owning" Disneyland might not be that crowded. YMCA day could attract a LOT of people, though!